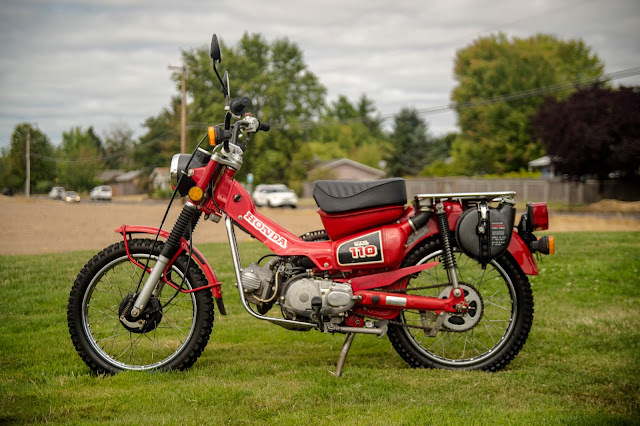 The next featured trail bike comes as a seller submission from Justin who writes: I’ve got a 1986 Honda CT110 I’m selling from my small collection. 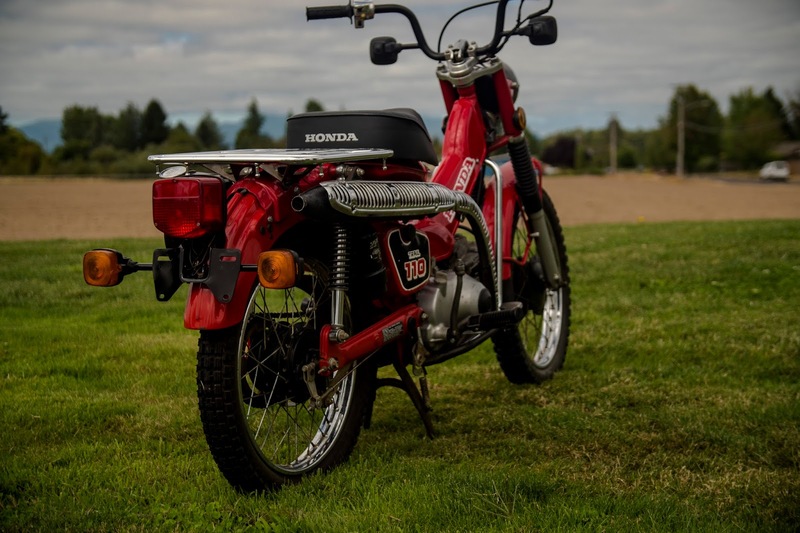 If you want this sweet looking 1986 Honda CT110 offered for $3,600 on Daily Turismo, please send an email to tips@dailyturismo.com and we will forward your info to the seller. It’s in fantastic shape and some recent upkeep has been performed. The bike appeared to suffer a tiny bit of overspray likely during it’s past life as a vineyard bike. I believe it could easily be polished out by a professional though I wasn’t brave enough to attempt it. The bike has a few small nicks here and there with a reasonably small amount of surface rust on some of the chrome and paint parts. The muffler is starting to show a tiny bit of internal rust. For some reason the blinkers are “slow.” I’ve yet to diagnose that. Otherwise the bike is a strong runner and quite nice. It has 1765 miles on the odometer, which I have no reason to believe is inaccurate given it’s condition. The bike has a clear Oregon title in my name and the bike is located in Oregon. 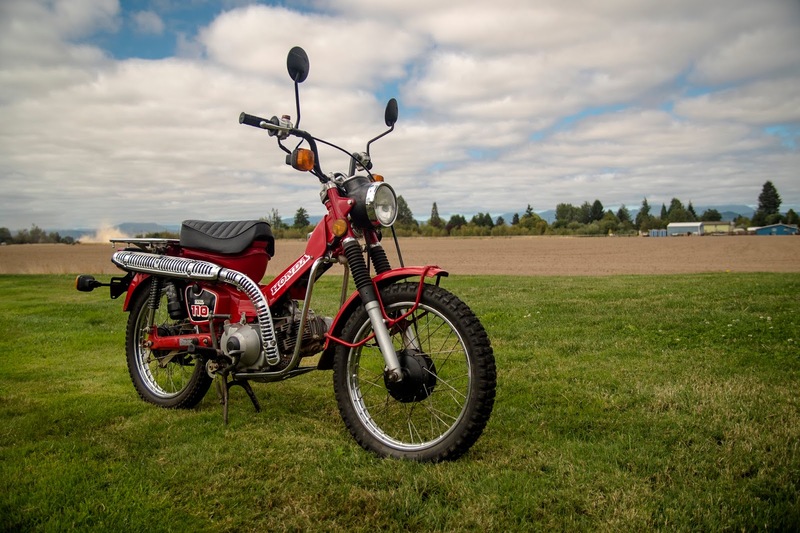 Similar bikes have been selling on the web ranging from $3200 up to $6100. Given the condition I’d like to list it for $3600. Send an email to tips@dailyturismo.com if you are interested, we will forward your info to the seller. Looks like a nice bike in great shape, good luck with the sale! Man- looks great. A perfect little two wheeler for running errands.